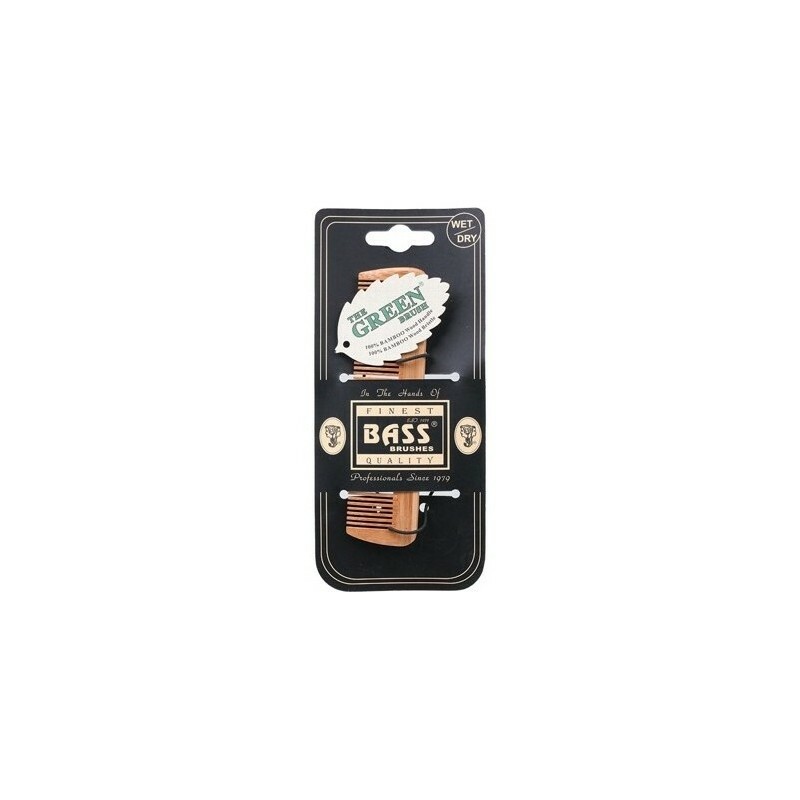 Bass brushes and combs are professional quality and made from bamboo, which is an 100% renewable resource. Daily brushing with Bass combs and natural bristle brushes will improve the condition of your hair. Naturally antibacterial and lightweight. 100% bamboo wood handle and 100% bamboo wood bristle. Lightweight design and conveniently sized to fit in your pocket or purse. 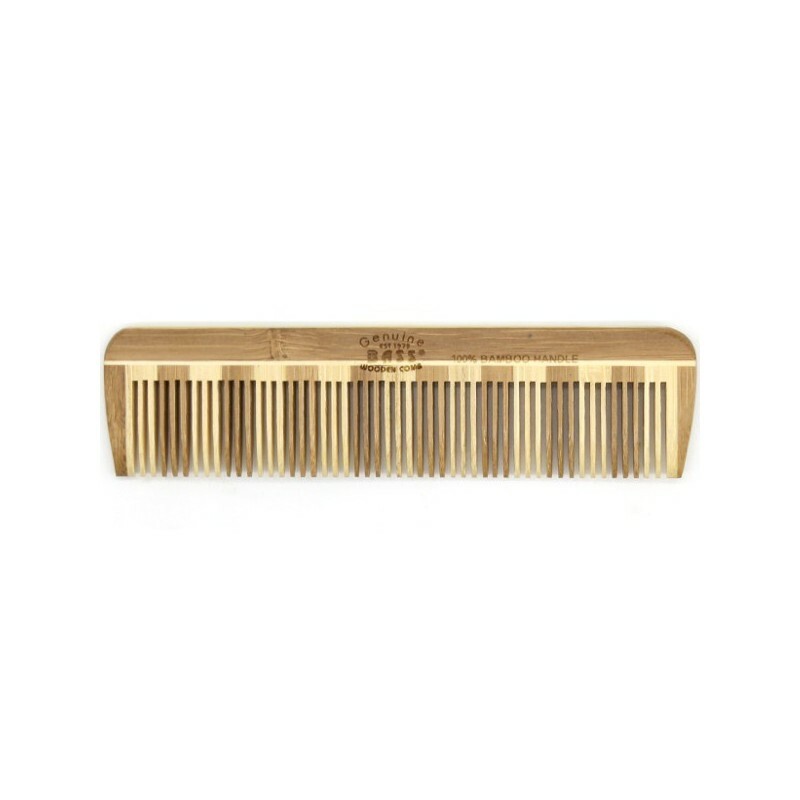 I was a little skeptical that this comb would work as well as plastic ones and so I bought just one. However we are pleasantly surprised and now we all have one!! 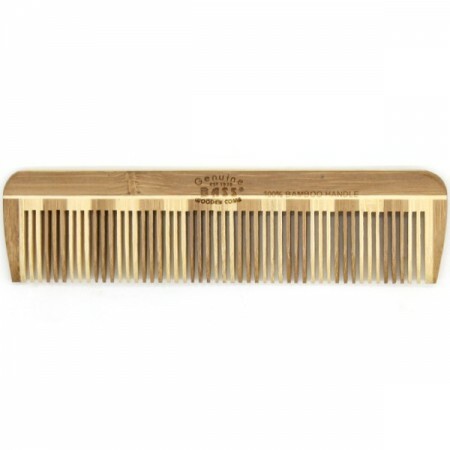 I bought this to as a replacement to a broken plastic comb after reading about the benefits of using wood/bamboo brushes. The bamboo bristles are wide enough to comb hair well and aren't too scratchy on the scalp. The comb I received looked like the one in the first image on this page (with the alternating coloured bristles) and it's sturdy enough to travel. I bought this along with beard oil for my fiance. He uses it for his beard and loves it.